Many movies are forgettable, even some good ones. But if a film makes you think about it for days, weeks, months, or years after seeing it, that usually points to its quality. 2001: A Space Odyssey and last year’s Take Shelter (already an all-time classic, if you ask me) are the first examples to come to mind. Sometimes, though, those initial lingering thoughts aren’t always positive. That’s what happened to me in the years following There Will Be Blood‘s release. On first viewing, I thought it was plodding, its characters impenetrable, and the ending felt like tacked-on shock value. But I would often think about it and ultimately its problems bothered me less. Then I saw it a second time, read the script, and its nuanced character study grew on me. Growing up a little and experiencing more cynicism certainly didn’t hurt my understanding, either. I still don’t know if it’s a great film, but I feel it’s at least very good. And now, a week after finally seeing Eraserhead, David Lynch’s directorial debut, I feel a similar transformation may be in its early stages. I say this because Eraserhead is a “difficult” film. It’s one you try to understand, and in that process, feeling it gets lost. It’s a clinical movie about ideas and themes rather than real emotion. 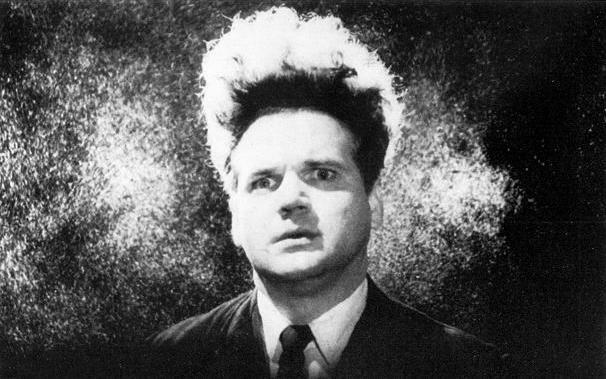 Eraserhead is a film in which nothing feels right. Everything about it rings false and constructed. This is intentional and not particularly bad, given the context. Its sets all feature a beaten, post-industrial look with exposed pipes and no decoration; nobody in Lynch’s dreamlike world has much use for brightening their spaces. The characters dress in plain business clothes, but their style is offset by odd physical distinctions, such as Henry’s (Jack Nance) eponymous hair cut. It is Henry whose odd story we follow. He knocks up his girlfriend, Mary X (Charlotte Stewart), and after meeting her family for the first time — it goes about as well as you’d expect — they get married and move in together to raise their mutant creature baby. From there, for all the film’s purported difficulty, it follows a simple parable about the angst of growing up and starting a family. There is nothing wrong with that story. In fact, I really like it. However, where I feel Lynch falters is, instead of fleshing out his worries about impending fatherhood — “What if there’s something wrong with the baby?”; “How do I react to my child’s imperfections?”; “Will I find it in me to love my child?”; “What do I do if it gets sick?”; et cetera — and struggles with monogamy, he presents them as ideas and themes within a nightmare rather than forming a human connection. While all of these characters feature human personality attributes, no one feels fully human. I don’t mean to say I require a character to root for in a film; I don’t care about connecting to the characters as people I would like to meet. That said, if you want me to fully appreciate your work, you should try your hardest to make your characters rounded people, even if they are tough to understand. This is a lesson Lynch learned later in his career, particularly when working with Kyle MacLachlan. MacLachlan’s characters in Blue Velvet and Twin Peaks are oddballs, but they’re oddballs with motivations and previous experiences that lead them to their eccentricities. 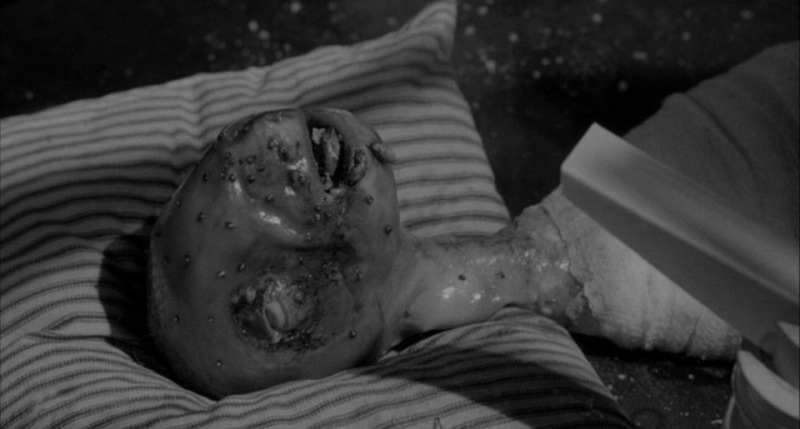 In Eraserhead, though, Lynch’s characters arrive fully formed and they are weird for weird’s sake. We know Henry works in an industrial plant, but learn nothing of his background. His reactions to things usually consist of a silent, pained expression. Stewart’s Mary fares a little better, as she deals with a loveless marriage and deformed baby, but her characterization consists mainly of shouting and crying before storming out of nearly every scene. Mary’s parents exist purely as nightmarish caricatures to unsettle Henry and, by extension, the audience. Even the character portrayed most naturalistically, Judith Roberts’ Beautiful Girl Across the Hall, is a cookie cutter seductress from the film noir stock used only to throw another wrench into Henry and Mary’s marriage; her lack of a name lends more credence to her being devoid of character depth. 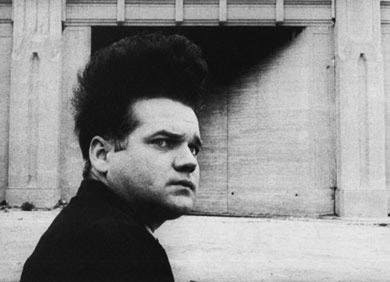 Where Lynch excels in Eraserhead is his ability to execute themes within a well-rendered tone. I’ve written a lot about the nightmare state in which the film takes place, and that does not waver for the entire run time. Everything Lynch does is to question reality, not only in terms of consciousness but in societal mores. Is the American family truly an ideal to which we should strive? The X family’s long pauses, inappropriately sexual treatment of Henry, and generally menacing demeanor would suggest otherwise. Mr. X’s droll story about his numb arm point to the meaninglessness of small talk, and perhaps human interaction as a whole. 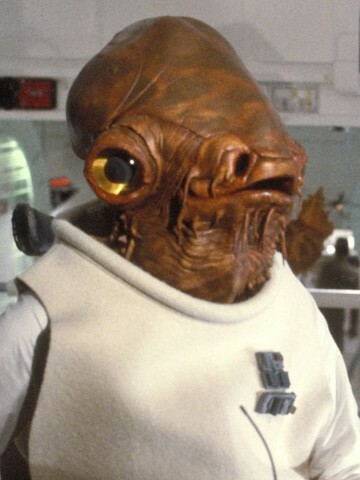 As for the baby, that Admiral Ackbar-meets-Xenomorph grotesquerie, Lynch projects his worst fears about procreation. Maybe some people should be barred from having children, whether it is before they’re ready or simply because they don’t have parenthood in them, Lynch suggests. As for the segments involving the Lady in the Radiator literally turning Henry’s head into erasers, I’m still struggling to make heads or tails of it. Eraserhead may not be a great film, but it enthralls me. It’s bold in its themes and executes them well, despite obvious deficiencies in character, which is no small task. It’s also a springboard of ideas which Lynch would later use to magnificent effect in more fully formed films like Blue Velvet and Lost Highway. In the week since seeing it, I have found my mind drifting to its memorable imagery and trying to make sense of its more esoteric notions. Perhaps, in time, I will be less concerned with its issues and more ready to accept its importance in avant-garde filmmaking. Until that day, though, I will have to live with its messy, absorbing nature.